"The Colonial architecture is more closely associated with American history and traditions than any other type of architecture. A brief review of the famous dwellings to which Americans look with pride will show them to one Colonial style or another. So closely has the Colonial home been interwoven with American Life that it is only within recent years that a family of culture would consider anything else. Nor must we think that all houses looked alike, for in its wide and extensive use different kinds of Colonial houses developed. Colonial houses flourished in New England, in New York, in Virginia and the South and in the North under diverse climates and conditions. As necessity is the mother of architecture, it was inevitable that Colonial architecture should develop along various lines." Joseph Latham House, 1717--Patrick Ward, a defender of Fort Griswold lived in this Cape Cod at the time of the Revolutionary War battle here on September 6, 1781. It is thought to be the oldest house at Groton Bank today. Capt. 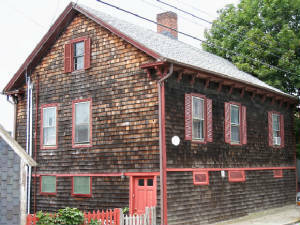 Rufus Avery House, 1787--This center hall colonial was the home of. Rufus Avery who on duty at Fort Griswold at dawn on Sept 6, 1781, was the first soldier to sight Benedict Arnold's British fleet off the coast. The house was built for him by Henry Mason, also a defender of Fort Griswold. 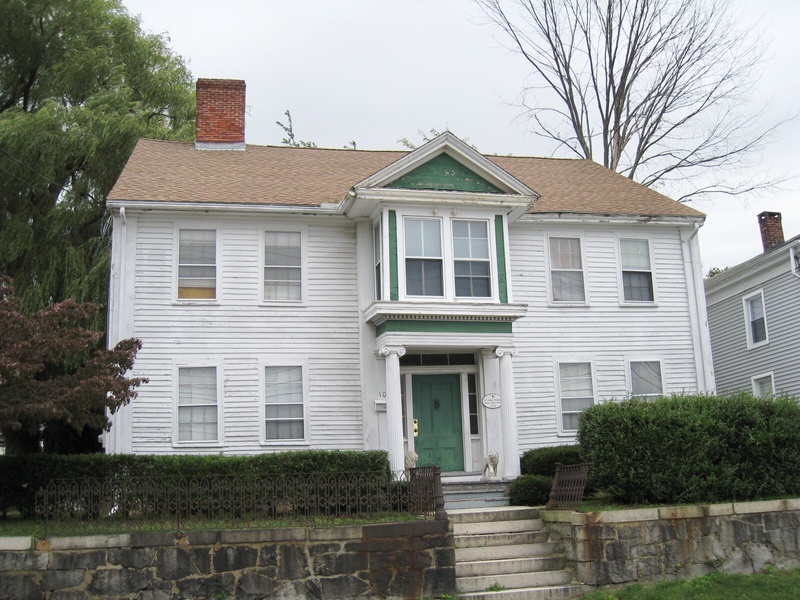 Congressman Noyes Barber House, 1810—This hipped roof Colonial was the home of Noyes Barber, son of the Congregational minister. Noyes started in business at age 11, later became the largest buyer of farmers’ products on the Thames River and engaged in West Indies trade. 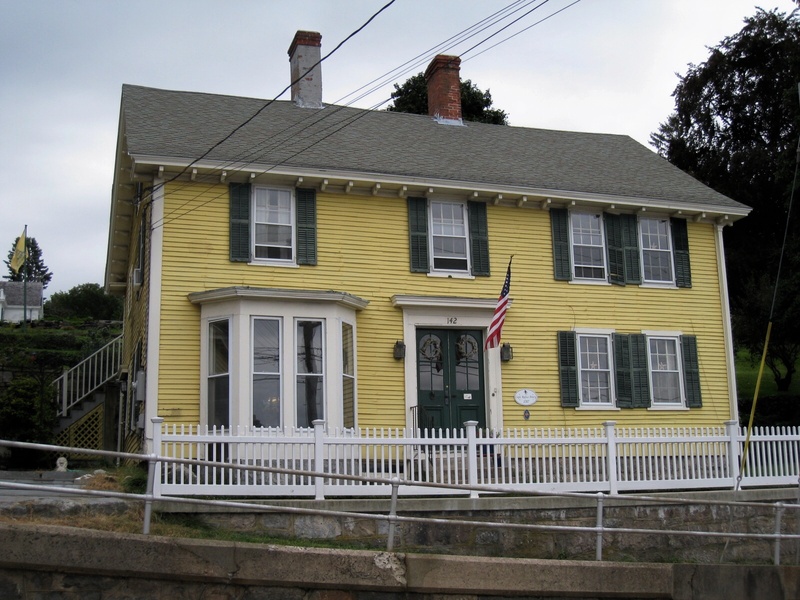 During the War of 1812 he became a major in Connecticut’s Eighth Regiment of Volunteers, and when Commodore Decatur was blockaded in New London Harbor by the British, Barber entertained Decatur and his officers in this house which was always open to men of prominence and all those that Barber knew. After serving two terms in the Connecticut Legislature, Barber was elected to seven terms in the U.S. Congress serving from 1821-1835. A Jeffersonian Republican he separated from his party by voting for his friend John Quincy Adams over Andrew Jackson when the 1824 Presidential election was decided by the U. S. House of Representatives. Enz. Ebenezer Avery House, c. 1750—This center chimney colonial is where the British left 35 of the severly wounded patriots, including Enz. Avery himself, after the Revolutionary War battle on Sept 6, 1781. In 1971 the house was moved from its orginal location at Thames and Latham Streets to the grounds of Fort Griswold Battlefield State Park and fully restored. Mother Bailey House, 1782--Dr. Prentice was the physician who tended the wounded after the battle at Fort Griswold on September 6, 1781. He was assisted by Anna Warner Bailey, the first woman to enter the fort after the battle, and later known as Mother Bailey. She became famous for “the petticoat incident” in the War of 1812 when one day being approached by a soldier from Fort Griswold, who was looking for cannon wadding, she removed her flannel petticoat in the middle of the street and gave it to him. This patriotic gesture received national attention and she was later visited in this house by Presidents Jackson, Monroe and Van Buren and General Lafayette. Parke Avery was a builder of Fort Griswold and later one of its defenders in the September 6, 1781 battle there. 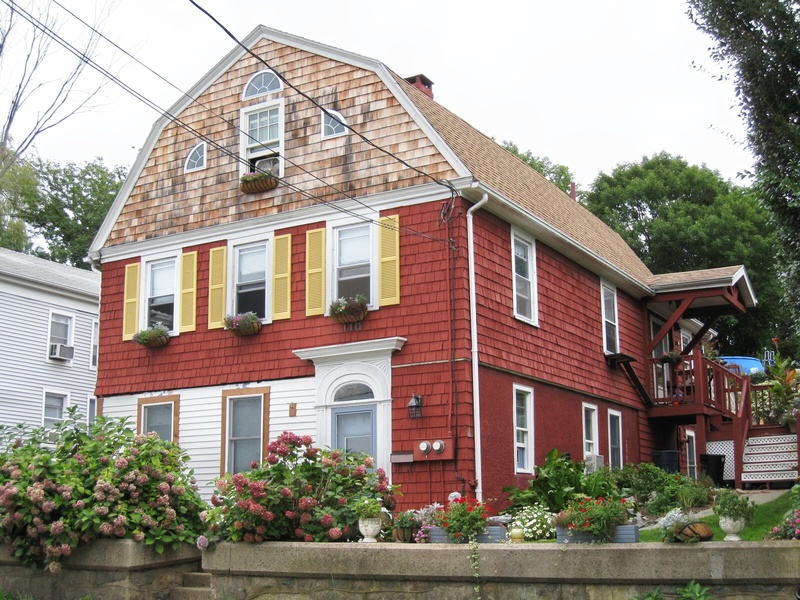 The original house was a Cape Cod style. A second story with Victorian brackets under the eaves was added in the mid-1800 when it belonged to the Fergusons. 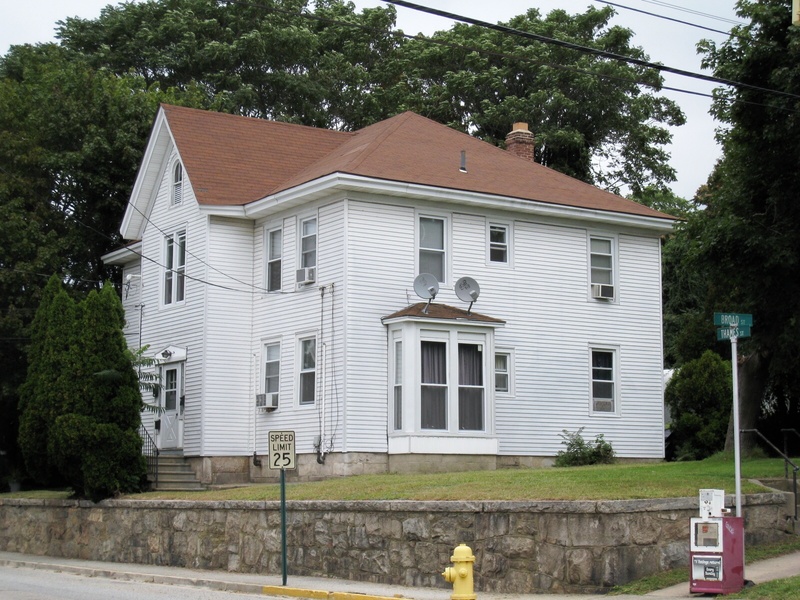 In the late 1800s the shipyard of William Ferguson and later his son Charles Ferguson was located behind this house. Here they built many sail boats and yachts in their shipyard along the Thames River.